Researchers from The University of Texas at Austin and the Chinese Academy of Sciences made the discovery by comparing the hyoid bones -- the bones that support and ground the tongue -- of modern birds and crocodiles with those of their extinct dinosaur relatives. 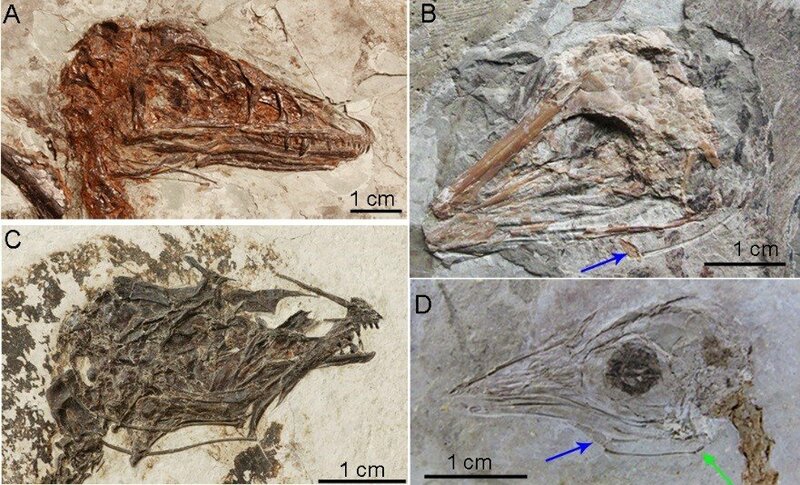 In addition to challenging depictions of dino tongues, the research proposes a connection on the origin of flight and an increase in tongue diversity and mobility. "Tongues are often overlooked. 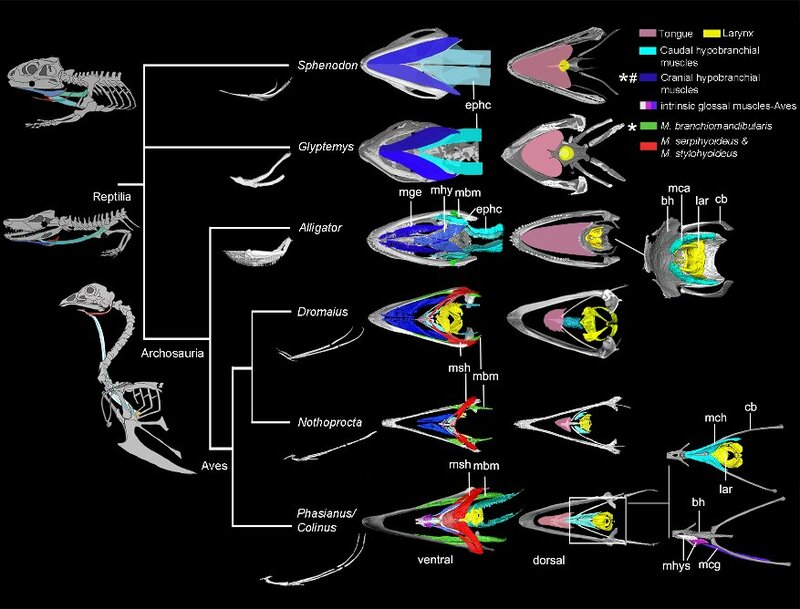 But, they offer key insights into the lifestyles of extinct animals," said lead author Zhiheng Li, an associate professor at the Key Laboratory of Vertebrate Evolution and Human Origins of the Chinese Academy of Sciences. He conducted the work while earning his Ph.D. at the UT Jackson School of Geosciences. The results indicate that hyoid bones of most dinosaurs were like those of alligators and crocodiles -- short, simple and connected to a tongue that was not very mobile. 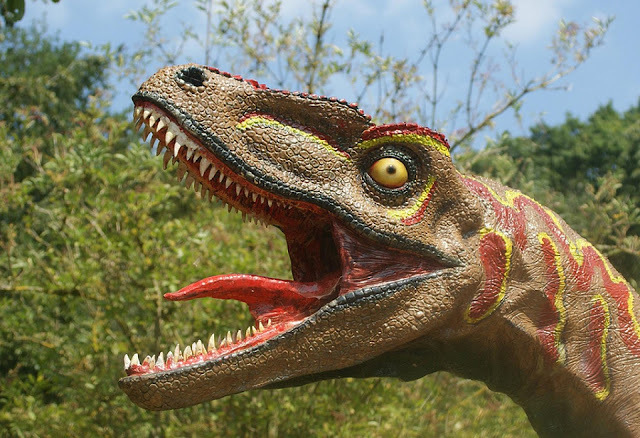 Co-author and Jackson School Professor Julia Clarke said that these findings mean that dramatic reconstructions that show dinosaurs with tongues stretching out from between their jaws are wrong. The scientists note one exception linking tongue diversity to flight. Ornithischian dinosaurs -- a group that includes triceratops, ankylosaurs and other plant-eating dinosaurs that chewed their food -- had hyoid bones that were highly complex and more mobile, though they were structurally different from those of flying dinosaurs and pterosaurs.